The house was as full as it could possibly cram, and my friend counted but thirty-six shillings’ worth of spectators in the pit, at eighteen pence a head, including a young child that squealed a second to the Crowdero of the house. Perhaps, as the actors were so near the audience, it was frightened by Shylock’s terrific look. Whilst I remained, not even the “Hush a be babby” of its mother had any effect. I found it so extremely hot, and I felt some knees press so hard upon my back, against a piece of curtain which composed the separation of pit and gallery, that I took my departure, and enjoyed a walk to the head of Derwenter [sic] lake. The moon was in splendour, and had just escaped out of a cloud that had really a terrific look. Skiddow [sic] and the hills to the right were buried in blackness; and there was an easterly breeze which seemed to assist the moon in getting the better of her sable enemies. Comments: Joseph Budworth (c.1756-1815) was a British soldier and writer. His A Fortnight’s Ramble to the Lakes, originally published as being by ‘A Rambler’, is an early tourist’s guide to the Lake District. his account is known in particular for the first description of the experience of climbing a mountain, and for his discovery of local beauty ‘The Maid of Buttermere’. He saw The Merchant of Venice in Keswick, by Derwentwater lake, presumably in a disused building, as there was no actual theatre in Keswick at this time. Text: May 14th. My next morning was employ’d in walking about my detestation, London; waiting upon my lawyer; and lounging about till what I thought a good hour of dining: When I put in at the Piazza Coffee House Covent Garden and had the room to myself at such an unatural hour: Thence like an old country put, I adjourned to Drury Lane Playhouse where I enjoy’d the highly wrought exhibition of Mrs Siddons’s performance in Catherine in Henry 8th, altho’ lost and sent to waste in this wild wide theatre, where close observation cannot be maintain’d, nor quick applause received! Restore me, ye overuling powers to the drama, to the warm close, observant, seats of Old Drury where I may comfortably criticise and enjoy the delights of scenic fancy: These now are past! The nice discriminations, of the actors face, and of the actors feeling, are now all lost in the vast void of the new theatre of Drury Lane. 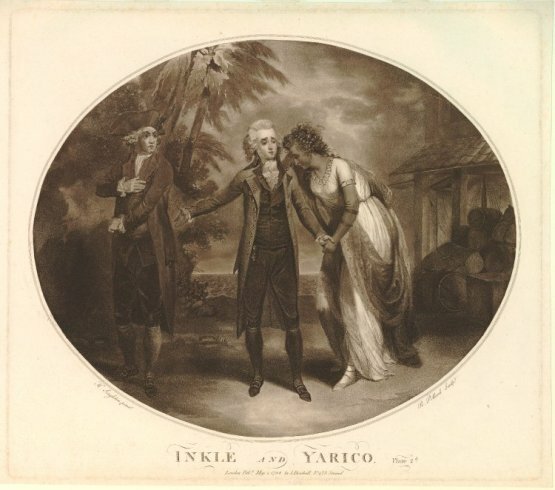 Garrick – thou didst retire at the proper time – for wer’t thou restor’d to the stage, in vain, would now thy finesse, thy bye play, thy whisper, thy aside, and even thine eye, assist thee. ‘Does it proceed from the narrowness of my faculties; or the width of your new stage? Answer me that? Is my decrease equal to your increase?’ No; No; fill your stage with monsters – gigantic cars, and long train’d processions – whilst the air vibrates with the sound of trumpets, and kettle drums: These will beat all your actors, and actresses out of the field. Who will listen to, or who can hear the soliloquies of Shakespeare, the inward terrors of the mind-perturbed imaginations and the strugglings of a guilty conscience? To see a fellow hunting a dagger about the stage; or an old princess wasting in a great chair? Who will go hereafter to see their tiresome attitudes? To hear them none will attempt, so let us have the battlements, the combat, the sulphur, the torches, the town in flames, and the chorus. The countryman came home; and went early to bed. Comments: John Byng, Fifth Viscount Torrington (1743-1813) produced several volumes of diaries covering the period 1781–1794, during which he travelled all over England and Wales. The production of Henry VIII was a redaction of Shakespeare and Fletcher’s original, undertaken by Charles Kemble, who played Cromwell. His sister, Sarah Siddons, played Katherine. Byng saw it at Drury Lane Theatre, London on 14 May 1794. The third theatre on the Drury Lane site had opened on 12 March 1794, having replaced the previous Theatre Royal which closed in 1791. The new theatre could seat 3,611 people, as opposed to the 2,000 offered by its previous incarnation.